I'm making this in memory of my mother, who passed away peacefully, though she wasn't sick, the day before Thanksgiving of this year. The two are myself, in the black, and my character Zion with the long hair. for hair on both, heavily edited to be like it is, and the version of the front base I used, again edited. for the boots on the praying base, edited by me. Anything else is my work. If you wish for parts of what I used, merely ask, but please do not take this and claim it as your own, it took me quite a while to get this to where I like it, and am proud of it. As most of you will notice, I don't have a list of favorite pictures - simply put, I don't save pictures, I save people. As corny as that sounds, it's true. I might save a picture or two on the computer by someone, but I have those as the ones I watch as my 'favorite' list over marking some of their pictures. Hopefully this will make those that are curious understand why I do things like I do. This picture was more up-to-date than the previous one, so I'm posting it instead. I am a roleplayer, and the white-haired girl is Zion, my original character, and before you ask, she a true fighter, and the leader/commander of her team. There is more info on this picture on the actual picture, and all the work you see on here, it's my own coloring, work, ect. I will do my best to post more of me, Zion, and others I have done over the years. Also, I can not draw or paint on paper - all my work is on the computer, and I'll try to have it saved as either BMP or PNG. I WILL NOT save it under JPEG or GIF - it distorts the colors too much. If you want me to try and draw a picture for you, just say so. Just know, my time is limited as is my skills, but I'll do the best I can. Skin of choice: my own? Personal Quote: Mess with the best, fall like the rest. Jul 26, 2011 07/26/11: How old do you act? Mar 7, 2011 12-24-10: Websites. Mar 7, 2011 03-18-10: Edited all blogs. Mar 7, 2011 03-14-10: Wrongfully accused and VERY pissed off. Mar 7, 2011 02-12-10: Complete list. Mar 7, 2011 01-16-10: For those that are curious. Thanks For The Watch! If You Want To See My Kamen Rider, Super Sentai, Ultraman, Garo & Angry Birds Fan-Art, As Well As My Fan-Comics And Memes, I'll Be Proud To See Comments & Favorites In My DeviantArt Page. I’ll Be Waiting! And Also, You Can Check My Gallery And Favorite And Comment On My Artworks And Memes I Made. Check It. No problem, and I will. 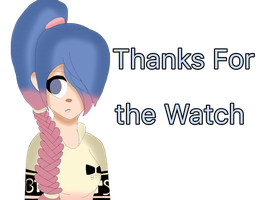 Thank you for the watch, Amelia. It is nice of you. Your artwork is wonderful and intriguing. A true master artist. First off, no problem for the add, and as for why, it was simply your character creators that first caught my attention, and how I'd found you, I saw you'd left a comment thanking one I'm following for faving a post you'd done. I don't recall right now which DA member it was, so I can't tell you who it was right off of the top of my head.